The Queensland Government has released a press release regarding the safety legislation of the mining industry. 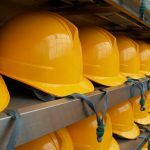 According to the press release, the government is currently awaiting notice from the resources sector on a proposal to harmonise Queensland’s mine safety legislation with other states. Minister for Natural Resources and Mines Andrew Cripps recently released a paper welcoming industry comment on the model act. Despite efforts to harmonise the safety legislation, there are some concerns with the process. However Cripps said that every effort is being made to ensure that the new model laws were at least as effective as the current mining laws. Cripps cited public fears that since Queensland’s laws are already of good quality, then they may risk adopting lesser-quality harmonised mine safety legislation. Cripps encourages the mining industry to provide input on the mining safety legislation. The Newman Government is allegedly committed providing the highest safety standards with minimal risk to the 58,000 Queenslanders in the industry. Industry stakeholders have until July,23 2012 to provide input to the State Government. The laws are reported to be developed with the partnership of industry professionals and union representatives. The Newman LNP Government is reportedly unconvinced that the national model legislation is the best thing for Queensland and for mine safety.